I made this once before but never blogged about it, because I didn’t quite feel like I had the right proportions for the ingredients. So I did a little research and read lots of recipes. 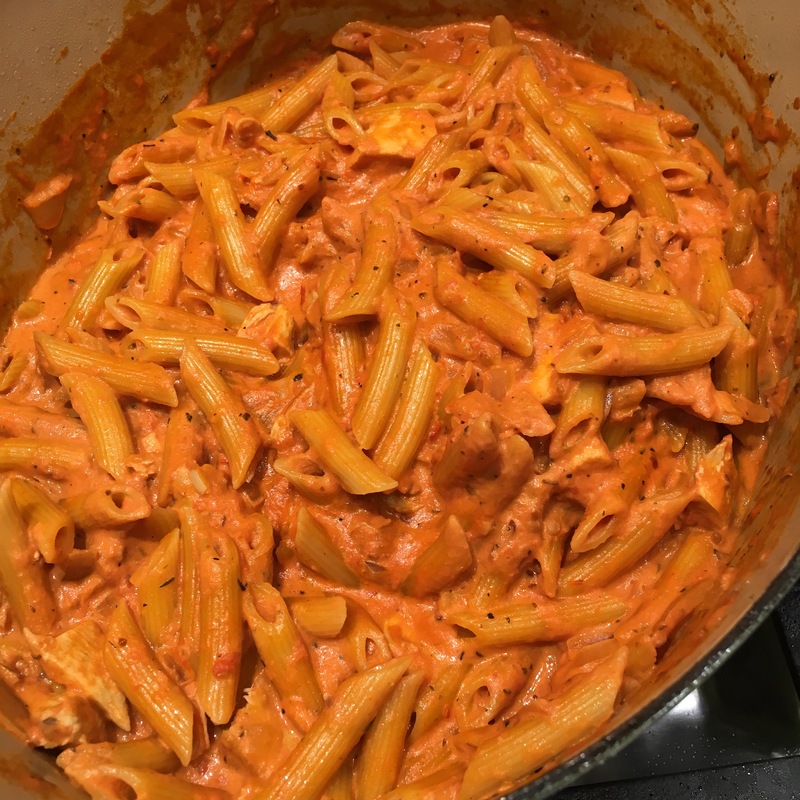 I decided to use Giada’s recipe for Penne with Vodka sauce. It did not fail! I used my sauce recipe instead of hers, which you can find here (minus the meat). I added 2 shredded chicken breasts to the mix for a little extra protein. Next time I might throw in some broccoli or other veggies for a nice vegetarian version.